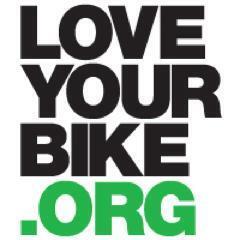 Love Your Bike urges people to support Greater Manchester’s Cycling City Ambition Grant bid. We believe a great city has to be a safe city for people who cycle. The Greater Manchester Combined Authority and Transport for Greater Manchester (TfGM) are about to submit a bid to the Department for Transport’s Cycle City Ambition Grant.The bid is for up to £20 million of government investment, to be spent over two years, to make cycling safer and easier. This would take the form of a series of more continental-style, largely segregated, cycle routes within the heart of the conurbation, together with the delivery of a number of cycle and ride stations. Love Your Bike believes that the bid must include ambitious targets for increasing cycling levels in Greater Manchester. We support a target to more than double cycling levels to reach 5% share of trips under 5km by 2018, and then to double this again to 10% by 2025. Such ambition will require Greater Manchester to continue to invest at least £10 per person per year for the 10 years following a successful Cycling City Ambition bid. Love Your Bike is calling on Manchester to match the ambition demonstrated in the ‘Get Britain Cycling’ report and commit to a target of 10% of all journeys made by bicycle by 2025 and to provide funding of at least £10 per person per year to achieve this level of cycling. To encourage people in Greater Manchester to support the bid and call for bold and ambitious targets Love Your Bike has set up an independent petition on Change.org. Make your support visible – sign the petition. If you want to publicly demonstrate your support for Manchester’s Cycling City Ambition Grant bid please sign up to our petition. This calls on Transport for Greater Manchester to “Commit to bold targets and sustained funding” in the bid. Signed the petition? Please forward to your friends, family and anyone else you know who will support the bid! Thanks from all at Love Your Bike.